This Homemade French Bread has become a favorite staple in our house, and we make it all the time. It’s perfect on it’s own, but I’m always game for taking a great recipe and making it more dessert-like whenever possible. 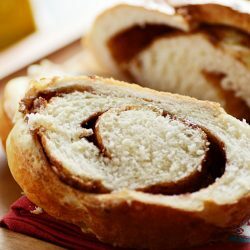 And I thought that this would make great cinnamon swirl bread! One of the things I love most about this bread recipe is that it consistently turns out soft and fluffy. 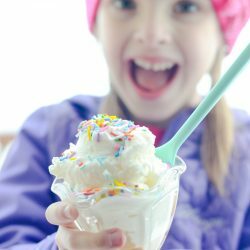 It’s incredibly easy to make and very nearly fool-proof. And turning this french bread recipe into a cinnamon swirl bread? Completely amazing. It tastes like it came straight from the bakery. I demolished about half a loaf myself just smothering slice after slice in butter. We turned the rest of it into french toast, which I would also HIGHLY recommend!! Then again… this recipe make two, large loaves. So you could totally eat one loaf warm right out of the oven as is, and then save the second one for breakfast tomorrow! 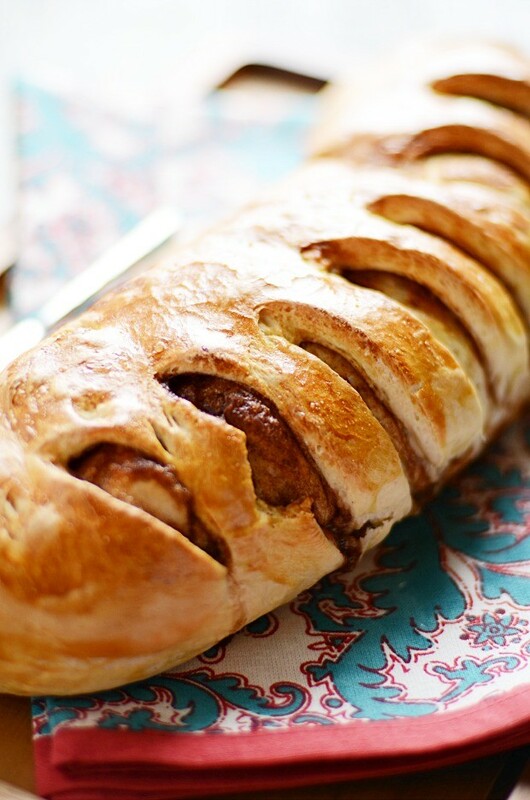 Or you could even just make one loaf of the cinnamon swirl, and skip the cinnamon on the second loaf leaving it plain to serve with dinner tonight. So many options, so much bread = winning at life. 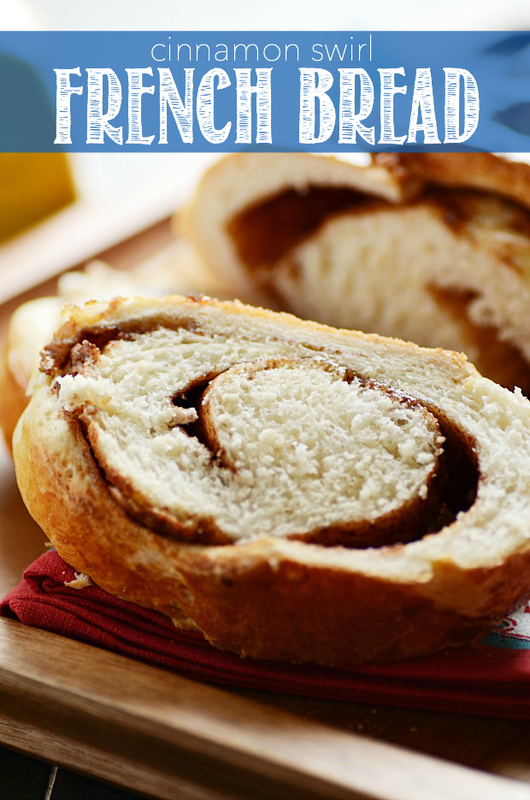 This dangerously delicious bread marries together two classics: french bread and cinnamon swirl bread! Soft, sweet, and unbelievably yummy. Pour the warm water into a small bowl (I use a 4-cup Pyrex measuring cup). Sprinkle the yeast over the water. Sprinkle the sugar and the salt over the yeast. Add the oil. Let water sit for about 5 minutes until the yeast is foamy (see this post on how to proof yeast). Fit your stand mixer with the dough hook and add the 5 cups of all purpose flour to the mixer bowl. Add the water to the flour (be sure to scrape the sides of the bowl so that all the sugar comes out). Turn the mixer on low speed and mix until a dough forms. The dough should neatly pull from the sides of the bowl. If it sticks to the sides, add the additional 1/2 cup a little bit at a time until the dough is smooth, elastic, and pulling from the sides. Once the dough looks just right, turn the mixer off and cover the bowl with plastic wrap or a kitchen towel. Let rest for 10 minutes. Then knead dough for a minute. Allow to rest and rise for another 10 minutes. Then knead again for a minute. Repeat 3 more times (for a total of 5 rests and 5 kneads). Divide dough into two equal portions. Roll out each portion of dough into a large rectangle, about a 1/4 inch thick. Brush dough with melted butter. Mix together the brown sugar and cinnamon and sprinkle over the dough. 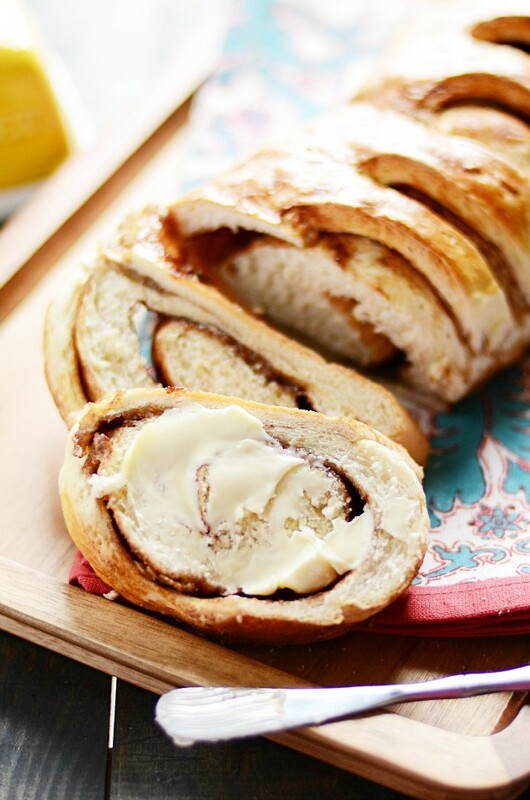 Roll the dough from the long end, cinnamon roll-style. Fold the ends underneath to seal it and shape the bread with your hands a little bit (just to move some of the thickness from the ends to the middle). Place each loaf on a baking sheet (I bake both loaves on the same baking sheet). Use a sharp knife to cut diagonal gashes in the top of the dough. Brush the egg wash on top of each loaf. Bake for 30 minutes. Serve immediately or let cool. You can store in an airtight container for up to a week. This is some gorgeous bread!! I love cinn swirl bread and I’ve made it before but yours looks just like bread perfection! Pinned! look at this beautiful loaf of bread Ashton, I just want to face plant it!